Joan Morgan: "The album takes us back to a really wonderful breath of fresh air at a time in hip-hop that was particularly trying. The community is coming off the murders of Biggie and Tupac. Post-'96 becomes a really rocky time for hip-hop fans with some rude awakenings. The misogyny in the music is making a lot of female listeners question, 'Is there really a place for me in the music in the culture anymore?' And I think 'The Miseducation' for a lot of us was a breath of fresh air." JM: "I tried to write the book as a cultural history giving us an opportunity to look at where we were, really, at the end of the 20th century in terms of music, black music, hip-hop and pop culture, but also politically. And why Lauryn kind of ascended to this role of icon — and it wasn't just about the music. I think a lot of people burdened her with this role of saving the music, saving the genre, being the thing that was going to turn the music around. And it was a really heavy burden, I think, to place on a woman that was barely 23 years old. So I'd like us to look back and look at 'The Miseducation' and be self-reflective and see where we were, and own the love that we have, but possibly look back and ask ourselves some tough questions about unrealistic expectations." Frannie Kelley: "I think it's really useful to think of the album as a critique and as self-reflection. So it's a critique of a lot of things that are happening in pop culture, in politics and in hip-hop, specifically, at that time. ... Complicated conversations were happening all over the place. It's completely true that it was very male-dominated at that time. So the way that Ms. Hill came in and was fully herself, that she was vulnerable, that she would question some things that she had done in the past — a lot of the times it felt like she was talking to a younger version of herself when she was, in actual fact, speaking to other people, to strangers. I was a junior in high school when that happened, when it came out. And it really cut through the noise for me. It really seemed like somebody could be flawed and still very successful. And I think it was inspiring for a lot of people to proceed on their own merits, on their own truth, and work it out even if that has to happen in public." JM: "Lauryn speaks strongest to me as an emcee. I think she has a beautiful singing voice, but a lot of people have beautiful R&B singing voices. But as an emcee, she is singular. So, for me, it was the album ... like it was a missed opportunity to showcase a little bit more, for those who fell in love with her as an emcee first, I do see L. Boogie as a very different persona than Ms. Hill. I missed more of L. Boogie on that album for sure." FK: "The best thing about 'Lost Ones' is that it's this reminder at the top of an album that became almost pop — that was pop, became mainstream, that Lauryn was a rapper. She was one of the best rappers of all time. And there are some ways in which the success of 'Miseducation' lets us forget that. As I recall, there was a slight sense of disappointment that there was so much singing on 'Miseducation.' "
Our caller, Rashad: "It showed artists or people at that time that you just didn't have to be one way. I mean, it was a neo-soul album, it was a rap album, it was an R&B album, and that crossover ability that it had is really what we hear in music today. I think it was a brilliant move, I think that we still are — I think that a lot of artists are still chasing that Lauryn Hill feel in the sense of the ability to cross over and have lyrics that stay true to themselves." FK: "I think that Lauryn's influence has a lot to do with this sort of fearlessness of genre borders that people rock all the way to the bank these days. I think Frank Ocean is an inheritor of some of her sort of flouting of the rules. Personal and visual, but with a prioritization of melody and harmony. Making sure that these ideas really worm their way into your heart and are a part of the memories that you make." JM: "I think that to look at Lauryn's contribution to black music and popular culture just through the lens of 'The Miseducation' is a little short-sighted. I write that she is really as much of a visual intervention as she was a musical one. At the time that she came on in 1998, there were no women who looked like her. When she did that cover of Harper's Bazaar, Harper's Bazaar didn't put black people on the cover. Like, there was this chocolate women with dreadlocks surrounded by all these little black heads on a high-fashion — and was at the time — a lily-white fashion magazine. Now we see Gucci models with short natural hair, we see Yves Saint Laurent models with cornrows. There was no natural hair movement when Lauryn did her thing. This is pre-the digital age. There was no #BlackGirlMagic. It wasn't that there weren't women who looked and dressed like her, but they were not lauded by the public. "I asked a lot of the people that I interviewed about this album — most people still love it. They say they still love the album. And I'd say, 'Do you still play it?' And pretty much everyone said that they had certain songs that they'd like and that they might reach for but no one really sat down and listened to it from beginning to end. But they're never upset when they hear it, like out in public if someone else is playing it. And it started to emerge to me like that really good friend you made from college who you are happy when you run into them, or high school, you're happy when you run into them and you wanna know how they're doing, but you don't necessarily stay in touch on a day-to-day basis. I think for a lot of people this album got them through a particular period of time and they have very fond memories of it, and a reverence for it, but not necessarily a day-to-day engagement." 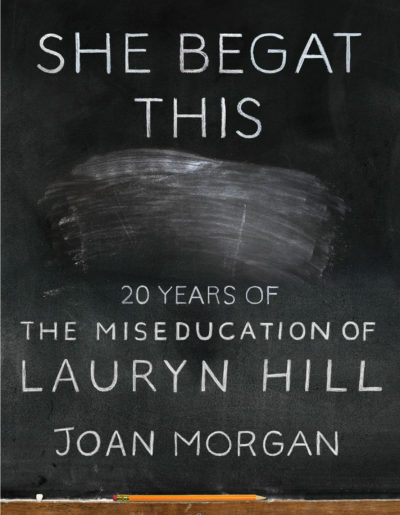 "She Begat This: 20 Years of The Miseducation of Lauryn Hill," by Joan Morgan. 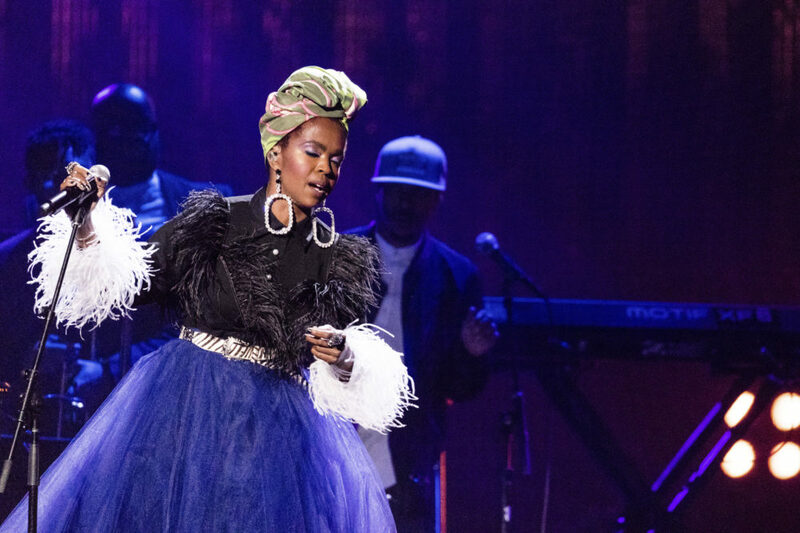 The demand for Lauryn to go solo would start almost immediately, but Jackson, who watched the group’s collaboration process almost from the beginning, felt assertions that Lauryn was carrying them with her talent were at best short-sighted. “I think the idea that her talent was being pimped to make a name for Clef and Pras began with the live shows. Then the press would write reviews of songs and claim Clef was a musical genius, which he is—that (guy) can play every instrument, sing in four or five different languages—but then they’d start to write things that made it seem like Lauryn was just an instrument to his genius. Really, they were more like The Beatles. Clef was Paul and Lauryn was John. They were best together, but apart, they were amazing too.” Time would bear this out. Wyclef Jean’s first solo effort, The Carnival, was released in 1997 to wide critical acclaim and eventually certified at double platinum with two Grammy nominations. Miseducation followed it with ten nominations and a record-setting five wins, breaking the one set for female artists by Carole King and her album Tapestry in 1971. Excerpted from SHE BEGAT THIS by Joan Morgan. Copyright © 2018 by Joan Morgan. Reprinted with permission of Atria Books / 37 Ink, a division of Simon & Schuster, Inc.
Jezebel: "Joan Morgan on Her New Book and 20 Years of Lauryn Hill's Miseducation" — "In spite of and perhaps because of her greatness, Lauryn Hill left many of her fans conflicted. Released on August 25, 1998, her solo debut, The Miseducation of Lauryn Hill, gave depth and cathartic dimension to the subject of black women in love. She sang about pulling away from an ex and finding salvation in motherhood, rapped about self-improvement, and presented these stories as tense reflections of her own entangled life, without fully disclosing her truth. 'The album at its core was always about love, both the deciphering of it and the search for it,' Joan Morgan writes in her new book." Twenty years ago this month, Lauryn Hill released her masterful, hugely influential solo album "The Miseducation of Lauryn Hill." Fierce, complicated, beautifully contradictory, the iconic album continues to have a giant impact on hip-hop, R&B and pop today. This hour, On Point: "The Miseducation of Lauryn Hill." This program aired on August 7, 2018.